The Samsung Galaxy Ace S5830 android smartphone users can now updates their device with the final version of XWKT7 based Adrenaline Custom ROM firmware. 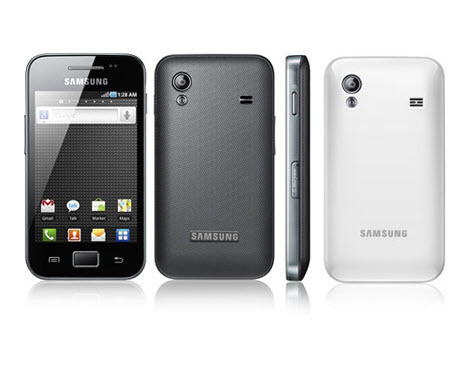 Unfortunately Samsung won’t be coming out with any of the further ICS or Jellybean 4.1 based firmwares. But all thanks will goes to the recognized XDA developer ImbaWind who has come up with this update. This firmware does not comes alone with the added applications but also come along with the ETX 4 based file system which is nearly 2x faster than all other custom ROM firmwares. Before start to proceed, take backup of all your precious data which was available in your phone. Because there is a risk of data getting wiped off after the firmware update so it is better to take backup of your datas. Once, you have created backup move all the target files to your computer/laptops so that they are safe. Enable the USB Debugging in your Samsung Galaxy ACE S5830 by following the path “Settings > Applications > Development > USB debugging”. The USB Debugging option should be ticked. Make sure that you have left the battery level of atleast 30% unless there is a risk of your device getting switched off during the middle of firmware update. Turned OFF or preferably disable all the antivirus tools in your device because this may interrupt in the update process. Finally, check your phone is rooted or not since this is a custom ROM firmware you can apply this update only in the rooted device. You can download the “Root Checker” app from the Google Play Store and check the same. So, once you have done all the above mentioned instructions you can now head over to the next step where we summed up a detailed tutorial on how to apply this firmware update in your Samsung Galaxy ACE S5830 android smartphone. DISCLAIMER : Update this firmware at your own risk. We and even the developer should not be held responsible or liable for any damage that takes place to your device while following these steps. Download the Adrenaline based XWKT7 Custom ROM firmware package from here to your computer. Once downloaded, the connect your phone to the computer and place this zip file in your phone. Make sure that you are not placing the zip file deep inside the subfolders. Once copied, disconnect the device from the computer and download the “ROM Manager” app from the Google PLAY Store to flash the Clock Work Mod recovery image. Once flashed, select the option of “Reboot into Recovery Mode” in the ROM Manager app. The recovery mode in the Galaxy ACE S5830 can be entered by Holding Menu Button and then Power ON the device. If the device turns ON in the normal mode then you need to try again to enter into the recovery mode. In the recovery mode, you need to select “install zip from sd card” > “choose zip from sd card” and then choose the Adrenaline based XWKT7 Custom ROM Firmware package which is placed in the phone. Once the file is selected, it will take round about 5 -6 minutes for applying the update. Please keep patience till the device finished the processing of firmware update. NOTE : Just in case, if your device doesn’t power up or say it gets stuck into the boot loop mode, you need to reinsert the battery and then retry the whole process of firmware update which we have mentioned below. Congratulations! you have now successfully installed the latest Adrenaline based XWKT7 based Final Custom ROM Firmware in your Samsung Galaxy ACE S5830.